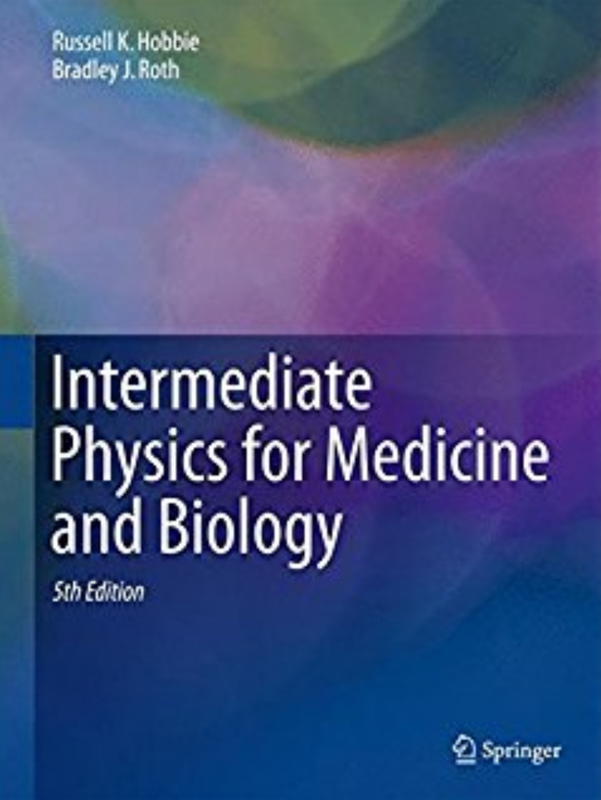 In Chapter 15 of Intermediate Physics for Medicine and Biology, Russ Hobbie and I discuss the interaction of charged particles with electrons. We first consider the interaction of the projectile with a target electron, which leads to the electronic stopping power, Se. Many authors call it the collision stopping power, Scol. There can be interactions in which a single electron is ejected from a target atom or interactions with the electron cloud as a whole (a plasmon excitation). The stopping power at higher energies, where it is nearly proportional to β−2 [β = v/c, where v is the speed of the projectile and c is the speed of light], has been modeled by Bohr, by Bethe, and by Bloch (see the review by Ahlen 1980). 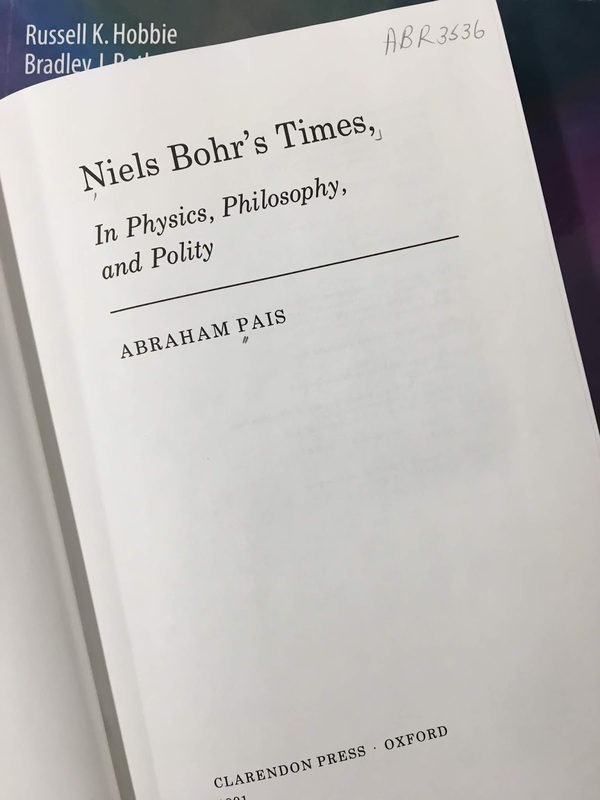 Bohr is, of course, the famous Niels Bohr, one of the greatest physicists of all time. I am familiar with Bohr’s model of the hydrogen atom (see Sec. 14.3), but not as much with his work on the stopping power of charged particles. It turns out that Bohr’s groundbreaking work on hydrogen grew out of his study of the stopping power of alpha particles. Moreover, the stopping power analysis was motivated by Ernest Rutherford’s experiments on the scattering of alpha particles, which established the nuclear structure of the atom. This chain of events began with the young Niels Bohr arriving in Manchester to work with Rutherford in March 1912. 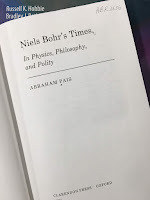 Abraham Pais discusses this part of Bohr’s life in his biography Niels Bohr’s Times: In Physics, Philosophy, and Polity. Bohr’s 1913 paper on α-particles, which he had begun in Manchester, and which had led him to the question of atomic structure, marks the transition to his great work, also of 1913, on that same problem. While still in Manchester, he had already begun an early sketch of these entirely new ideas. The first intimation of this comes from a letter, from Manchester, to Harald [Niels’ brother]: “Perhaps I have found out a little about the structure of atoms. Don’t talk about it to anybody…It has grown out of a little information I got from the absorption of α-rays.” I leave the discussion of these beginnings to the next chapter. On 24 July 1912 Bohr left Manchester for his beloved Denmark. His postdoctoral period had come to an end. So the alpha particle stopping power calculation Russ and I discuss in Chapter 15 led directly to Bohr’s model of the hydrogen atom, for which he got the Nobel Prize in 1922.